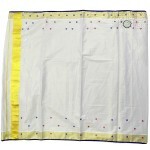 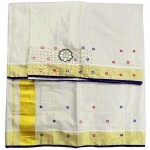 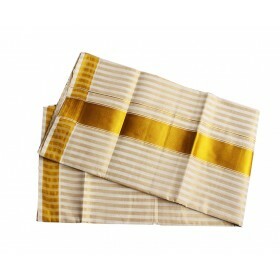 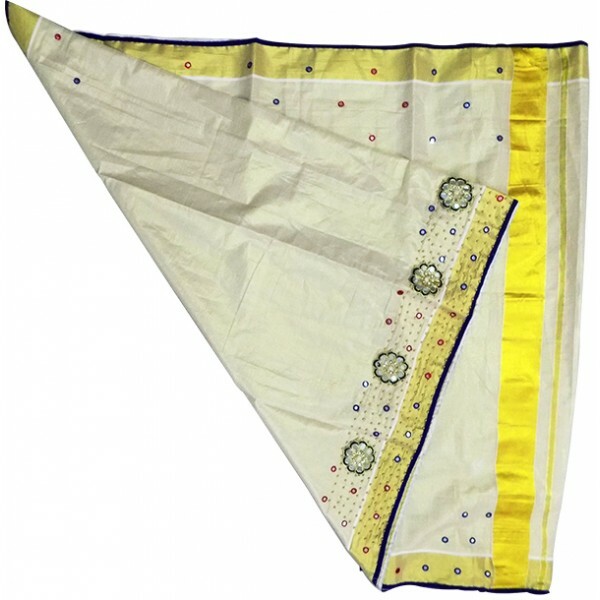 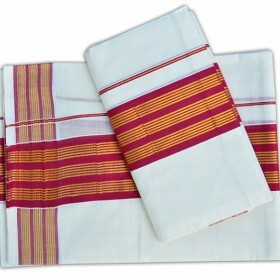 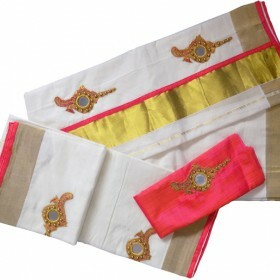 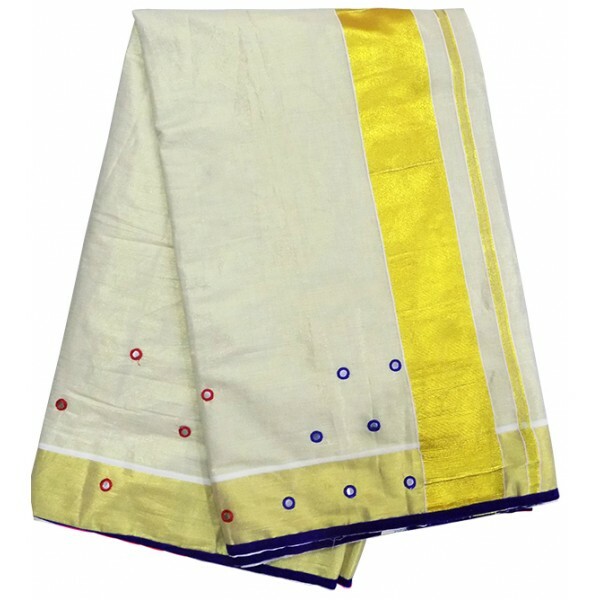 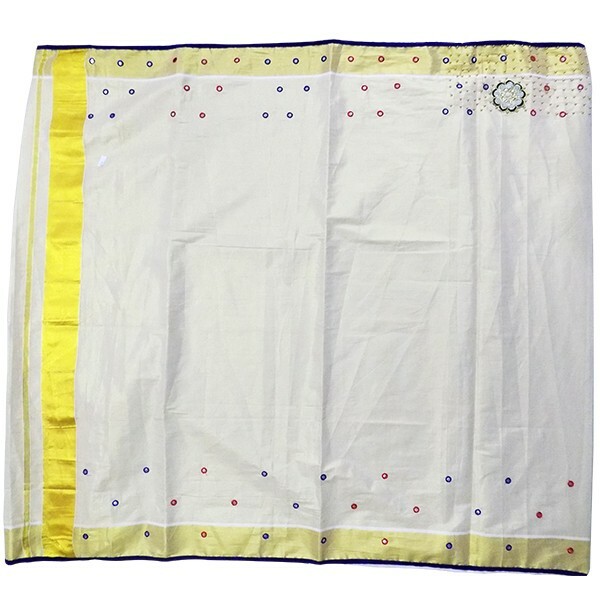 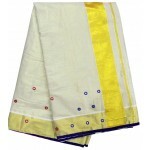 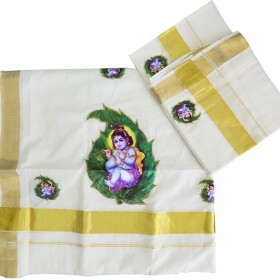 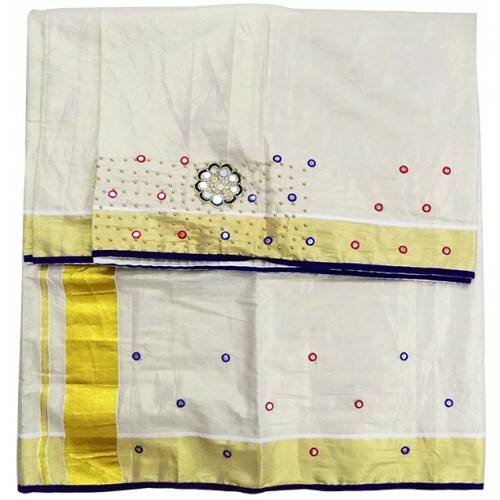 Traditional Kerala hand painted saree is the trend used by the people nowadays, here we introduce a .. 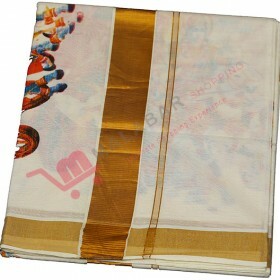 It is a beautiful multi-colour combination of mirror work Kerala tissue kasavu settu saree from Malabar shopping collection. 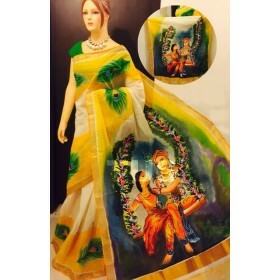 It has an attached blouse piece. 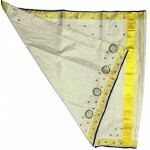 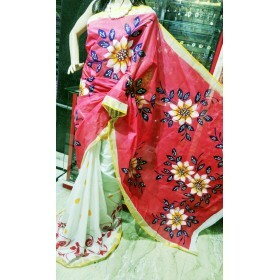 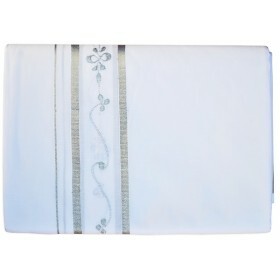 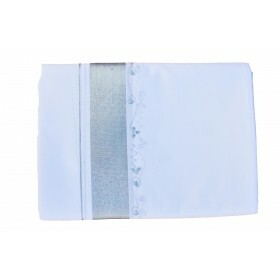 The saree is tissue plain with a lovely mirror design on border and top pleat which makes it look gorgeous.